Fynshalm-Inpack in Syddanmark, supported by EAFRD, packages straw bales ready for storage in the filed. Packaging several bales at the same is innovative making it easier to store straw outdoors cutting down transportation time and cost. One of the problems with straw production is storage. Storage facilities are both hard to find and expensive. 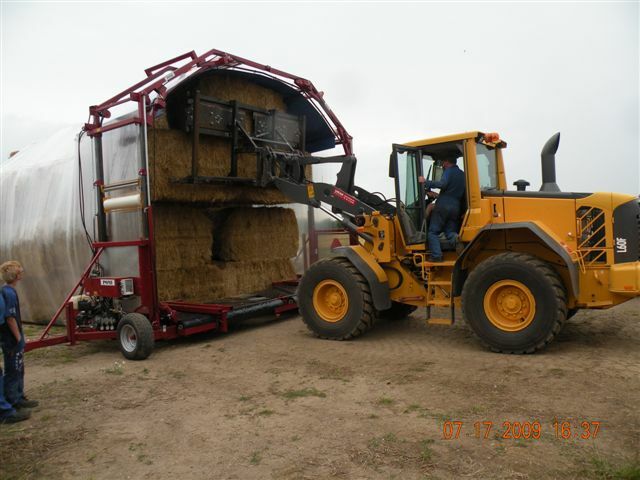 Further, transportation of straw bales from the field to the storage place has economic costs and leads to straw spillage. 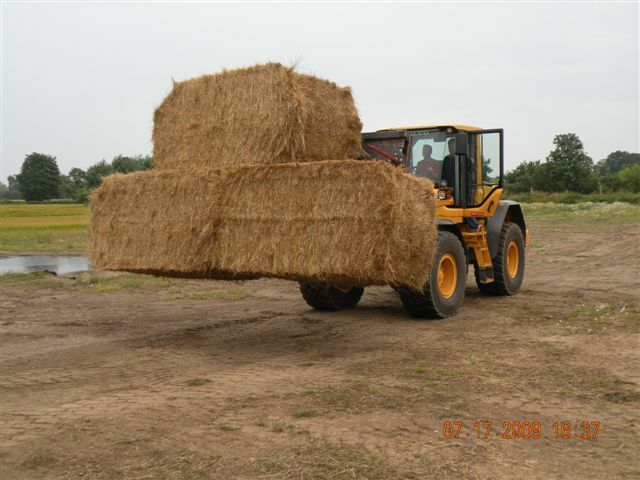 In 2007 new national fire regulations were put in place regarding straw storage, which are more stringent than previously. Alternative storage methods were sought to be in line with the regulations and reduce costs, thus the straw wrapper was developed. The project aimed to devise a way of wrapping - at the same time - multiple straw bales in plastic and ensuring they can be stored directly on the field thus avoiding the need of transporting them to a storage facility. 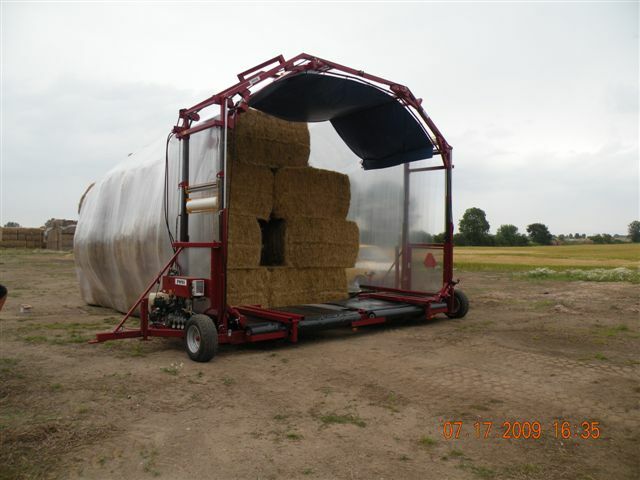 To be able to store straw outdoors, it is necessary to wrap it so that rain does not ruin the quality of the straw. Packaging has to be done with a special wrapping machine, for which a grant was provided. To achieve the objective the main activity of the project was the procurement of the straw wrapping machine. Straw is packaged in plastic sheets allowing storage on-field. The innovative feature of the project is not the actual packaging in plastic, but that numerous bales can be packaged at the same time. With this process straw can be stored in a smarter way, on the field and in less space than usually required at a storage facility. The immediate result of the project is that the bales can be stored directly on the field leading to reduction of renting a storage facility, transportation costs between the field and the storage facility, as well as of CO2 emissions. The project has resulted in improving the efficiency of the farming operations, sustaining the farm jobs while reducing the costs related with the fuel consumption and from straw spillage during transportation. This project shows how important this support measure is to help with sustaining farming operations and improving the overall efficiency and resulting to environmental benefits.